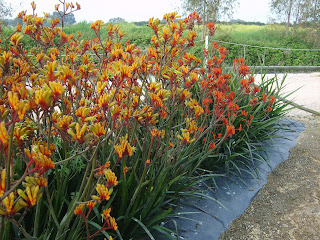 Montbretia is a vigorously growing, long lived bulbous plant which dies back annually. 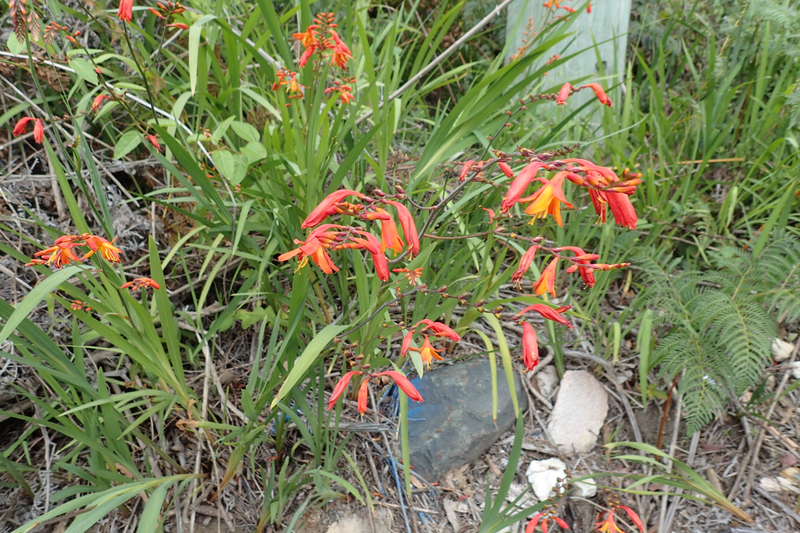 It is grass-like in appearance and often mistaken for Watsonia. It has strap-like leaves around 30 – 80 cm long and 1 - 2 cm wide. It was a popular garden plant due to its bright orange trumpet-shaped flowers, which form in two rows along each stem. 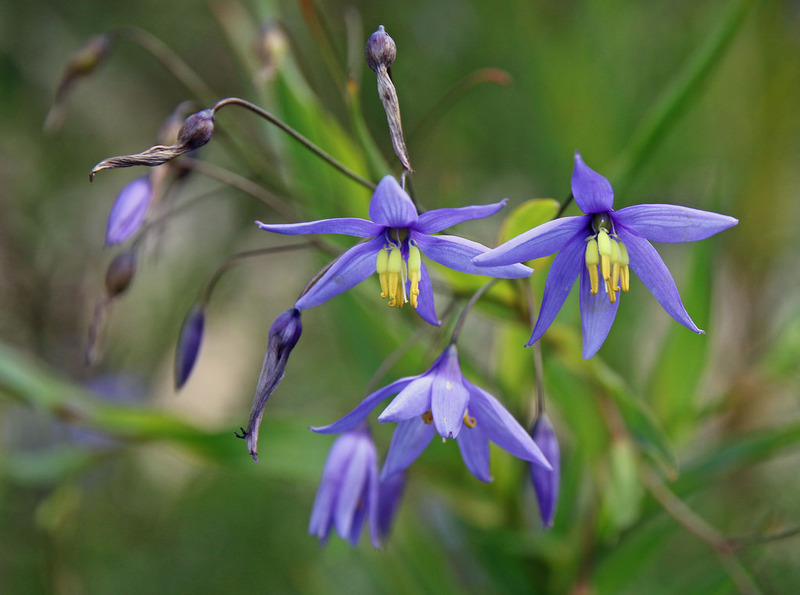 The aboveground foliage is short-lived, and grows back each year from underground 'bulbs' (i.e. corms) and creeping stems (i.e. rhizomes). 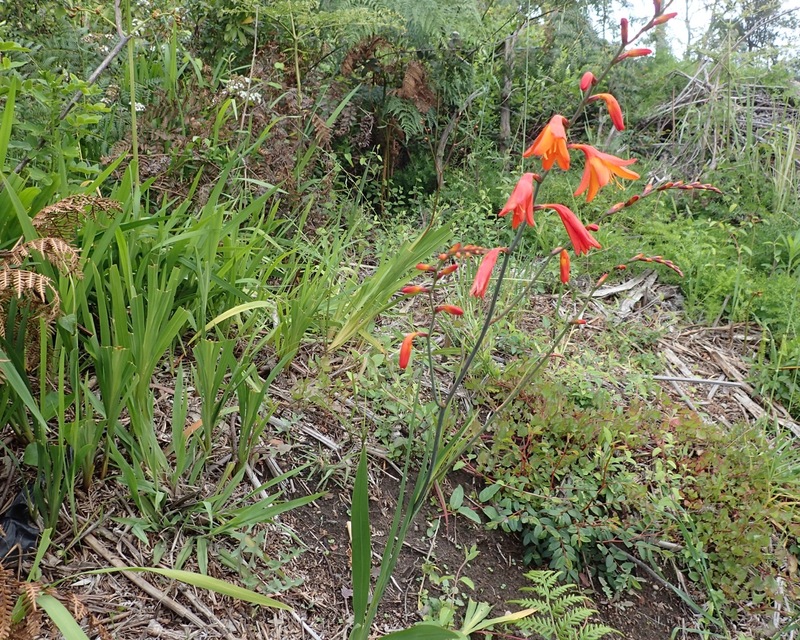 Montbretia grows in dense clumps and is capable of adapting to a variety of conditions. 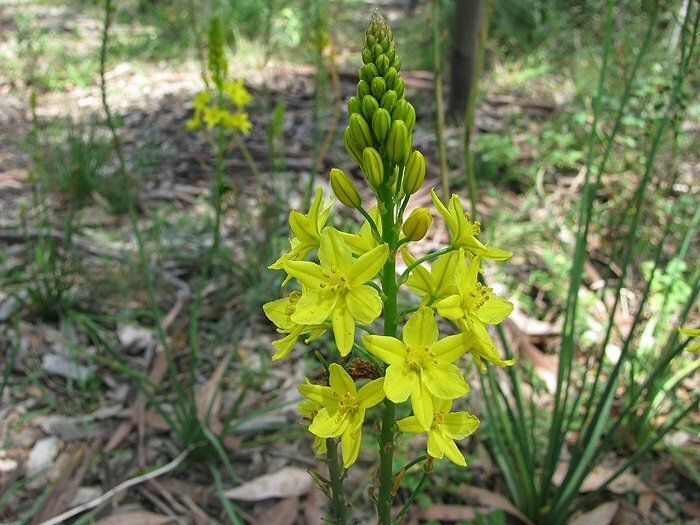 It out-competes native plants, particularly in native bushland and riparian areas. Montbretia can sometimes still be found for sale at local fetes, nurseries and markets, despite the ban on sale in NSW. 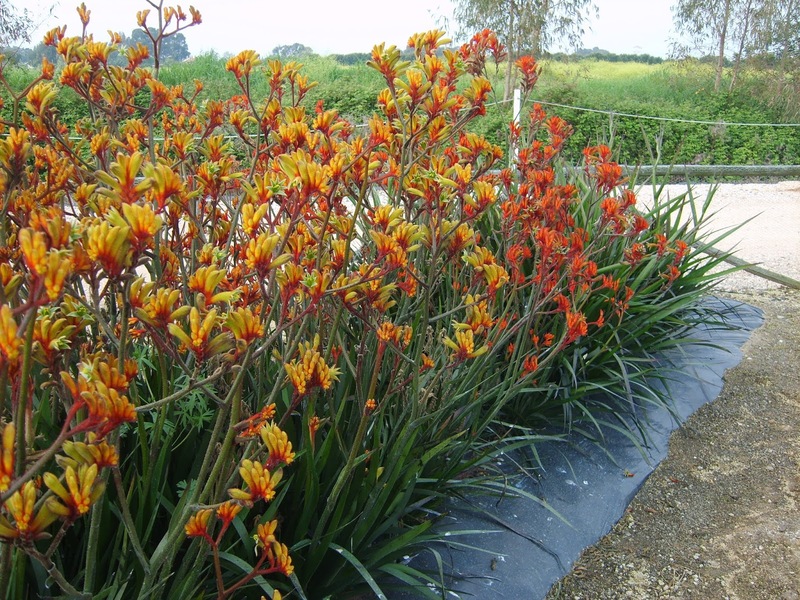 Removal: To save you time and energy, the most effective removal of Montbretia is just before full flowering occurs around Spring and Summer and digging out bulbs when the soil is wet. Hand removal is only practical for small clumps of the weed. Use a garden fork to dig all corms and underground stems to ensure complete removal. Cut stems first if the plant is in seed. Spraying with herbicide or using a weed wand is another option. An Australian native plant, leek lily is an attractive species with fragrant yellow flowers. 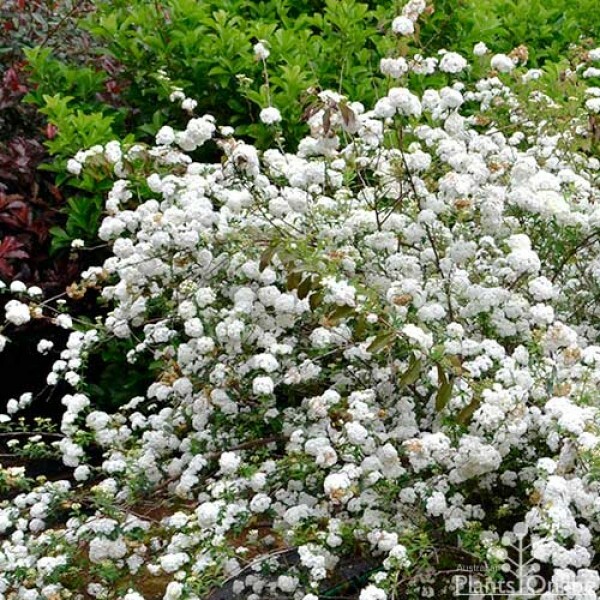 It is especially suited to rockeries and cottage gardens and is also excellent as a container plant. Flax lily is native to Australia and many of the garden cultivars stem from four of the native strains. The richly-hued blue flowers with delicate yellow anthers perch like chandeliers on the end of wiry stems and contrast well with the long linear form of the leathery leaves. Kangaroo paws (Anigozanthus species and varieties.) Kangaroo paws originate in Western Australia. They have clumps of strappy leaves. The different varieties vary in colour, height and hardiness in our area. 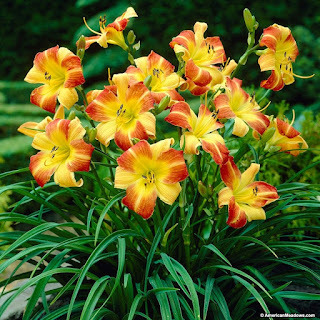 Day lilies (Hemerocallis species and hybrids.) Day lilies have generous clumps of strappy leaves, and tall flower stems with double or single flowers in a wide range of colours. Small leaf privet is native to Asia. 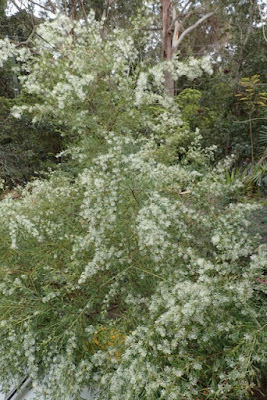 This plant was commonly used as a hedge plant in the past but causes allergies in humans, and has become invasive in native bushland, and neglected gardens and wastelands. 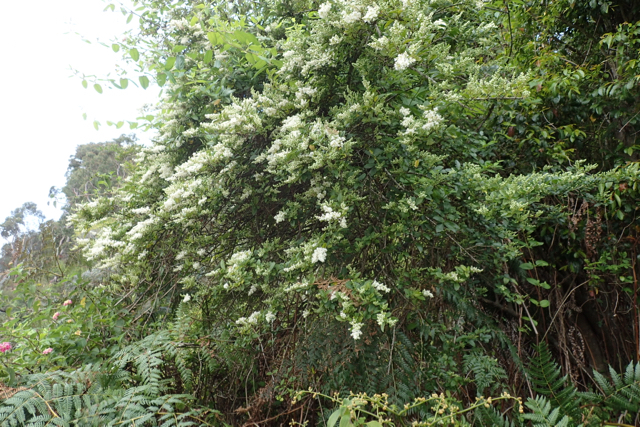 Small leaf privet is considered to be serious environmental weed throughout Australia. Infestations threaten biodiversity, including endangered plant and animal species and ecological communities. Dense stands of privet prevent other vegetation surviving or establishing. 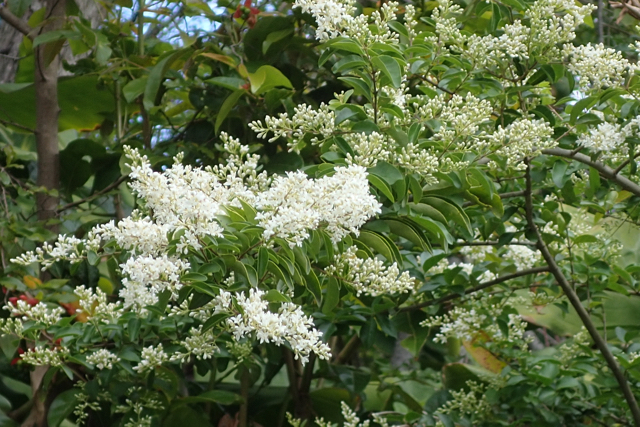 Small leaf privet is a shrub or small tree that has green leaves up to 7cm long, usually with wavy margins. Privet flowers in spring. 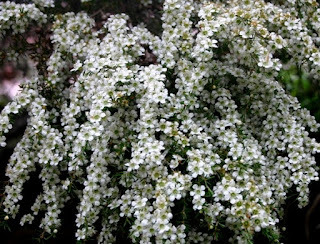 Its flowers are small, white and strongly scented in large sprays on the ends of, or along, the branches. Flowers are followed by blue/black berries which are attractive to birds. Dispersal: This species reproduces by seed and root suckers, and it also re-sprouts after its stems are deliberately cut or otherwise damaged. Its seeds are readily dispersed by fruit-eating birds and other animals. They may also be spread by water or in dumped garden waste. 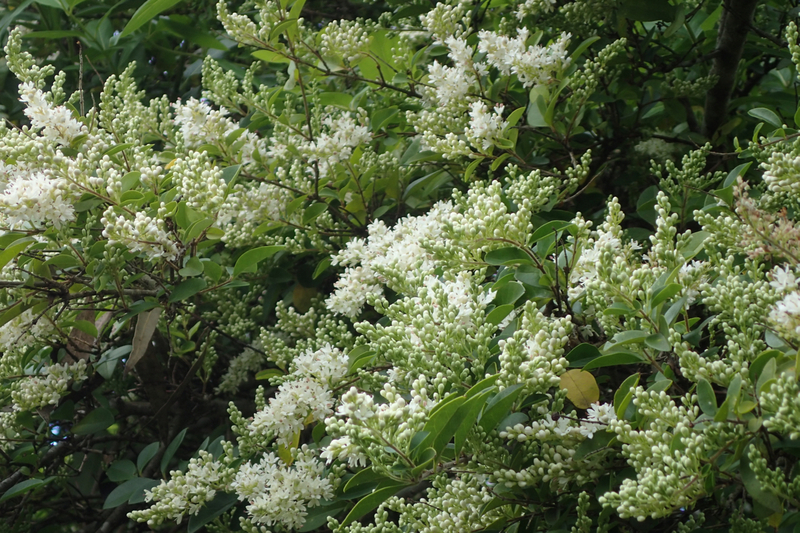 Privet is unlikely to be sold in nurseries but may be available at fetes or markets. Do not plant it, and if it is already present in your garden please remove it so it doesn’t get a chance to spread further. You may find privet seedlings coming up regularly in your garden under any trees. Removal: Remove young plants by hand. This is best done when the soil is moist to ensure you do not break off or leave any of the root system in the ground. For plants that cannot be pulled out, carefully dig out the plant, removing as much of the root system as possible. Large plants may need chemical treatment. 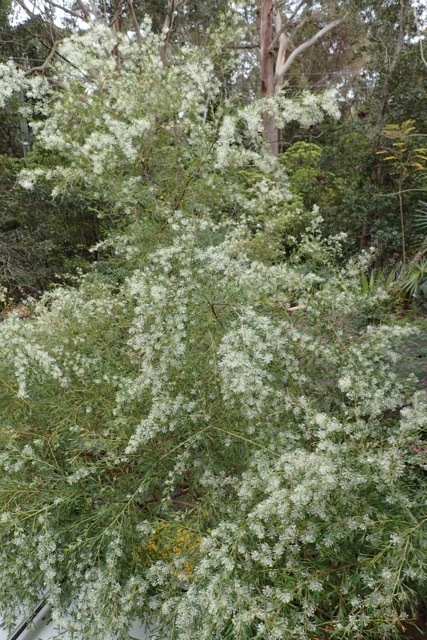 Grevillea biternata – A grevillea from WA with a massed display of creamy white flowers. Leptospermum ‘Cardwell’ - Gracefully weeping aromatic evergreen foliage, covered in white flowers late winter to spring. May bush (Spiraea cantoniensis) - A deciduous or semi-deciduous shrub producing masses of arching stems with double white flowers for several weeks in spring.